Shakeology is a great-tasting nutrient-dense shake. It is a protein shake packed with many superfoods, in fact, some would say it has the most on the planet. What are superfoods? They are foods deemed to be some of the healthiest in the world that are low in calories and high in nutrients which pack in high concentrations of nutrients that support the immune system and support your body. Shakeology was created with some of the healthiest ingredients that you should be eating every day, but may not get. You will find that Shakeology is the perfect combination of antioxidants, enzymes, proteins, prebiotics, phytonutrients and probiotics. Plus Shakeology also contains many rare ingredients including: adaptogens, camu-camu, and maca root. These are things we can’t get from an ordinary diet. Beachbody Customers If you are doing a Beachbody program, this is a natural supplement to your workout program and it gives you the proper nutrition to supplement your workout activities. College Students and Professional's You will find that Shakeology is easy to prepare than a salad and and is very tasty. It is a quick and convenient way to get full nutrition when you have a full work or school schedule. Health Conscious People This will save you money by replacing the many nutritional supplements you take daily. Older and Active Adults To stay active, you need increased energy levels. This helps you stay active and healthy, so you can enjoy your life. Parents Completed nutrition is what is needed so you can have the energy to keep up with your children. Those that don't eat breakfast People that don't eat breakfast are leaner, have more energy, have fewer junk food cravings, snack less, and have a faster metabolism - as it gets started earlier. Those that don't like fruits or vegetables An easy way to take your fruits and vegetables and get the nutrition that you are not taking in. Shakeolgy tastes great. Those with an intense exercise program. Shakeology provides fuel to help give you the energy to work out harder and get an improvement on your fitness goals. Those trying to lose weight. Managing your caloric intake while taking in nutritional foods is a must, and Shakeology lets you do both. The American diet is terrible! Rarely do we eat enough fruits and vegetables… we end up reaching for quick and easy foods like fast food which have been so over processed that the good things about the food have long since been eliminated. Then you have the crazy portions where you eat too much of a bad thing! In reality we are running on empty and like a car, we need the right fuel to go. Great fuel and not junk. Start thinking of food as your fuel and you will understand how important Shakeology can be to your diet. Since Shakeology is packed with potent, nutritious, and delicious ingredients, you will find that it is one of the quickest and best ways to eat healthy, stay satisfied, and live a healthy life from now on. So whether you use Shakeology for weight loss, or drink it to optimize your health, this powerful and delicious shake can be your daily dose of super foods. Adaptogen Herbs Astragalus, Ashwagandha, Cordyceps, Ginko, Maca, Maitake Mushroom, Reishi Mushroom, Schisandra, & Tulsi (Holy Basil) Support the Immune system, protects the body from stress and will balance your endocrine system. Amino Acids and Proteins Amaranth, Chia, Flax, Pea Protein, Quinoa, Sacha Inchi & Whey Protein Vegan Protein's will include Pea, Rice, and Oat Protein. The Rice and Oat Protein will replace Whey and Sacha inchi in Vegan Formulas Reduces cravings, builds lean muscle mass, improves hair and skin, improves mood and supports optimal brain function. Anti Oxidants and Super-Fruits Acai, Acerola Cherry, Bilberry, Blueberry, Cacao, Camu-Camu, Cinnamon, Goji Berry, Green Tea, Hips, Lun Han Guo, Pomegranate, & Rose Reduce oxidative damage from free radicals and promotes & supports heart joint and brain health. Digestive Enzymes Amylase, Bromelain, Cellulase, Lactase, Lipase, Papain & Protease Increases the absorption of nutrients as well as helps the body break down foods. Phytonutrients and Super-Greens Chlorella, Kale,Moringa, Spinach, & Spirulina Promotes health and vitality for detoxification and helps protect your body from stress. Prebiotics and Probiotics Lactobacillus, Sporogenes (Bacillus Coagulans), & Yacon Root Supports a balanced microflora environment in your digestive tract, helps keep you regular, and improves digestion. How do you prepare Shakeology? It’s very simple, since Shakeology dissolves quickly when added to any liquid. The best way to prepare it is in a shaker cup. Another option if you’re craving the feel of a smoothie is to use a blender and toss in some ice. Then all you do is mix 1 scoop of Shakeology with 8 to 12 oz of water, milk, almond milk, rice milk, or coconut water, add ice, and either shake or blend—then enjoy! Make sure to check out the Shakeology recipes as well! Since drinking it; 93% of users felt healthier, 81% say it reduced their cravings, 86% say it increased their energy, 82% had better digestion, and 97% thought it was a great investment. Is there a Shakeology Substitute? Are your using Slim-Fast, Body by Vi, or another shake? Look at the differences to compare Shakeology to what your taking. Dollar for Dollar there is no comparison when you look at the ingredients in Shakeology. What are my product options to try Shakeology? With Shakeology you have many different options including. 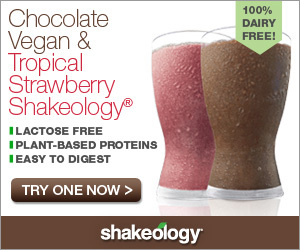 You don’t have to be Vegan or a vegetarian to enjoy Shakeology. With a diet that is more plant based you give your system a break as they are dairy, lactose, and soy free. You will find that the combination of ingredients in the Vegan Shakeology provides you with 9 essential as well as many other partially and non essensial amino acides. The protien blend has 2 super important amino acids; lysine and methionie which is significant as it is hard to get these in your diet in plant based diets. Shakeology also is able to keep the right blend of carb and sugar sweetness with agave nectar. It also has natural fibers which support healthy digestion. There are 2 ways to get Shakeology and one of those ways is a lot cheaper. The first is order a package at a time and this is good maybe if your testing the product. However the best way to get it is to get Shakeology is from the home direct program. It is an autoshop program that saves you money on shipping each month. You can then cancel anytime by contacting Beachbody Customer Service. 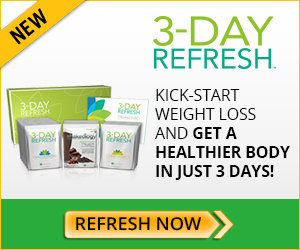 The 3 Day Refresh, is a program that helps you get clean from bad nutrition habits and get onto the fast tract for weight loss. This program helps you cleanse your body of all the bad food and improve the way you are feeling. What do it? Maybe you just got back from a vacation where you ate a lot and exercised too little, or you want to kick start a new weight loss program. How does it work? For 3 days you eat Shakeology for breakfast, lunch, and dinner and you can add fruit or vegetables to it. With Shakeology, you get the complete nutrition other 3 day programs lack which getting that kick start into fitness. I have been on Shakeology for a while now and have noticed an increased level of energy. The taste is great, especially when I add additional fruits. I can even add some Green Vibrance, which tastes horrible, or more green vegetables to my shake for that additional punch of nutrition and I still have a great taste that I enjoy daily. With Shakology you get what you pay for. that is nutrition and a packed amount of it in a scoop. The retail price is $129.95. The Club Price is $116.95. The Coach price is only $97.46 – this is a great option for you to make money and get your Shakeology for free, just click here to get started. Shakeology is the perfect companion to any workout program, and there are some good plans with Beachbody that include Piyo or P90X. The cheapest way to buy it is to Learn More below to get a great price on the package.